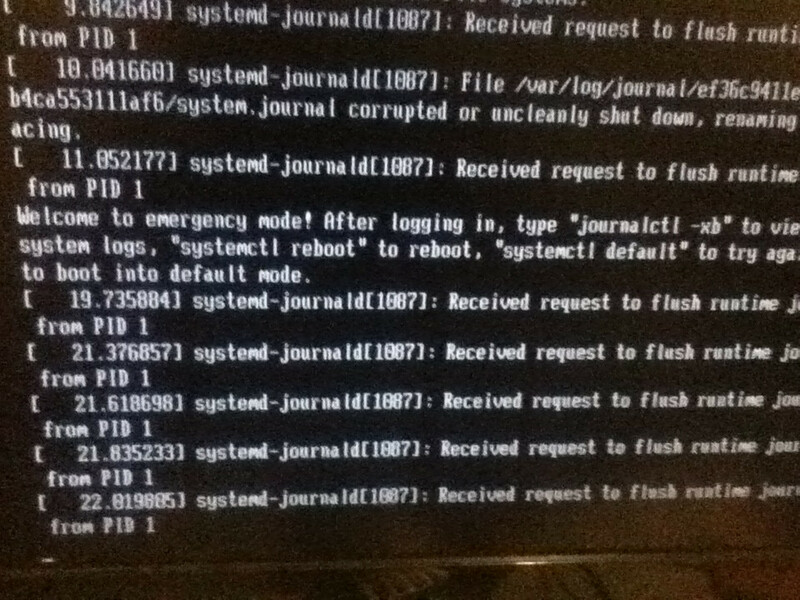 Hi, I have a problem while booting gentoo. I had a functional installation but one day out of nothing (most probably from something I did not noticed but I did not made any major update or something similar) I started to get these error messages and now I am unable to start my system. 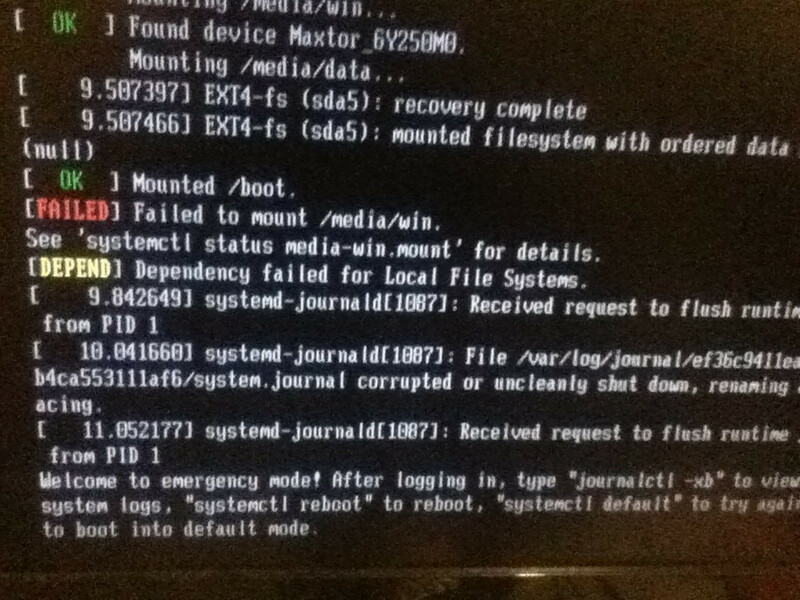 May someone help me to solve this so I can use my gentoo again or at least be able to login and recover some data and configurations? Thanks in advance. I took photos of the errors because they are too many for me to write them. What is in your /etc/fstab, seems like its bailing due to that share failing to mount? 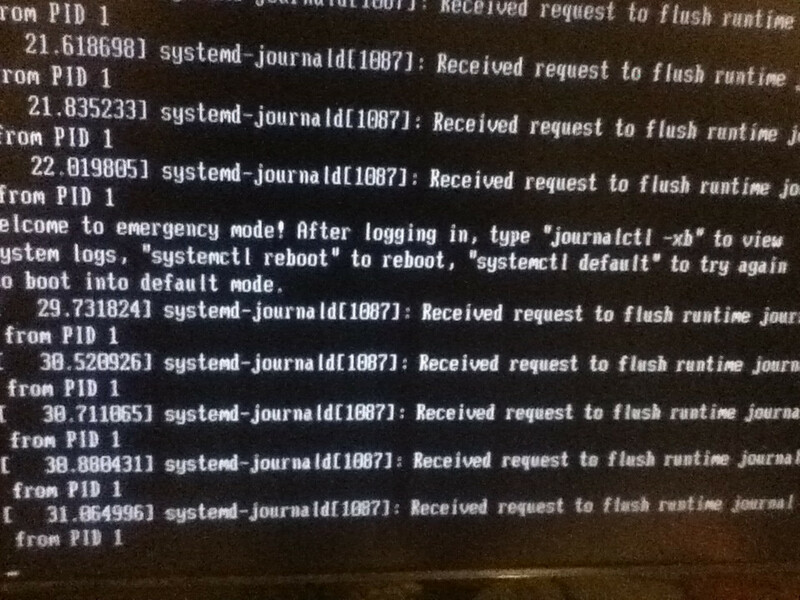 EDIT: That journal corrupt message also looks ominous have you tried doing a fsck from a live CD? I recommend booting to a livecd and troubleshoot things there. What is /media/win? Verify that any kernel modules needed to mount that filesystem are available in your kernel or initramfs.